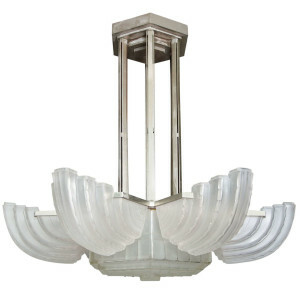 A French Art Deco Chandelier by Simonet Freres, in clear and frosted glass molded with “monnaie du pape” (honesty leaves) motif, circa 1935. 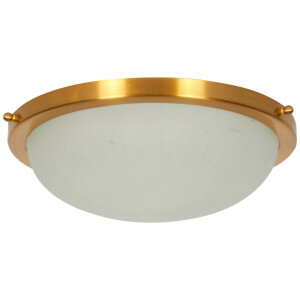 Marius Ernest Sabino. 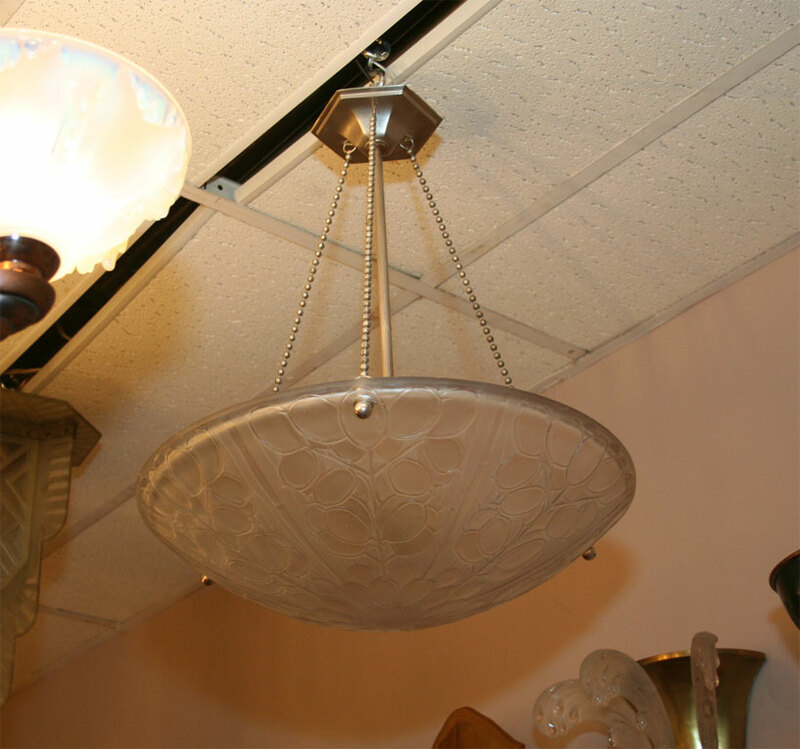 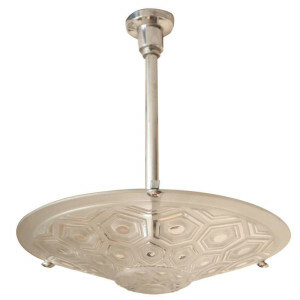 Art Deco chandelier, circa 1930, comprised of 6 clear and frosted glass shades radiating from a central hexag, mounted in a polished nickel brass frame. 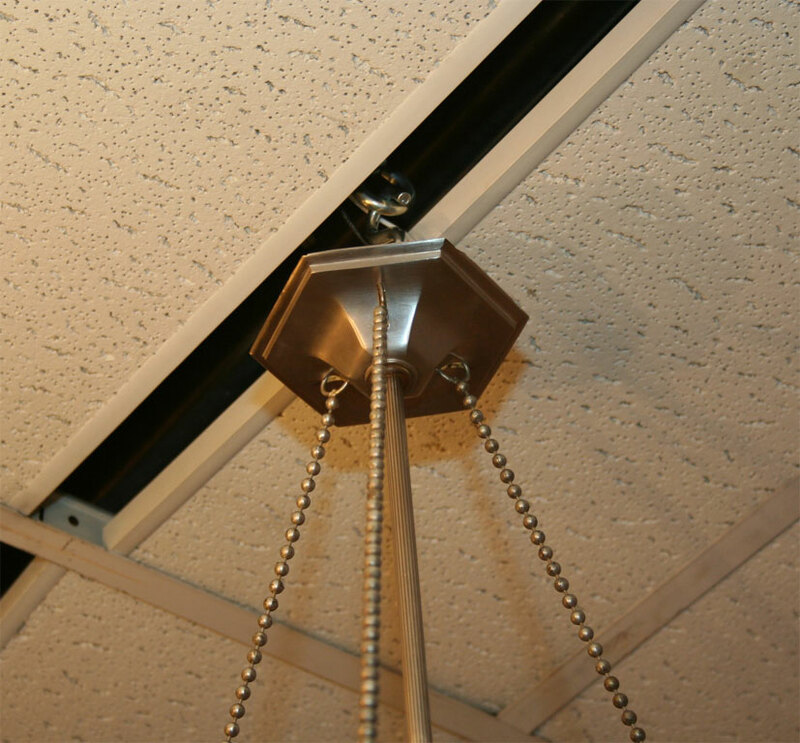 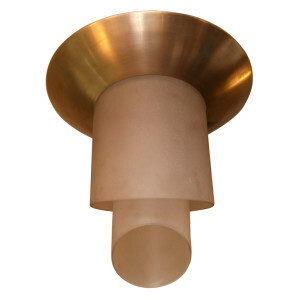 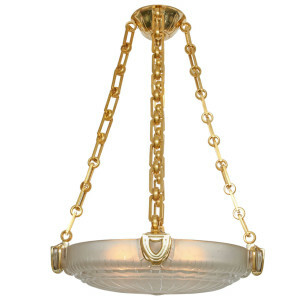 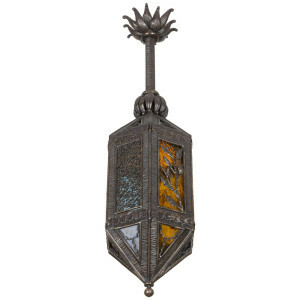 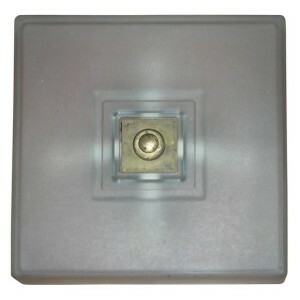 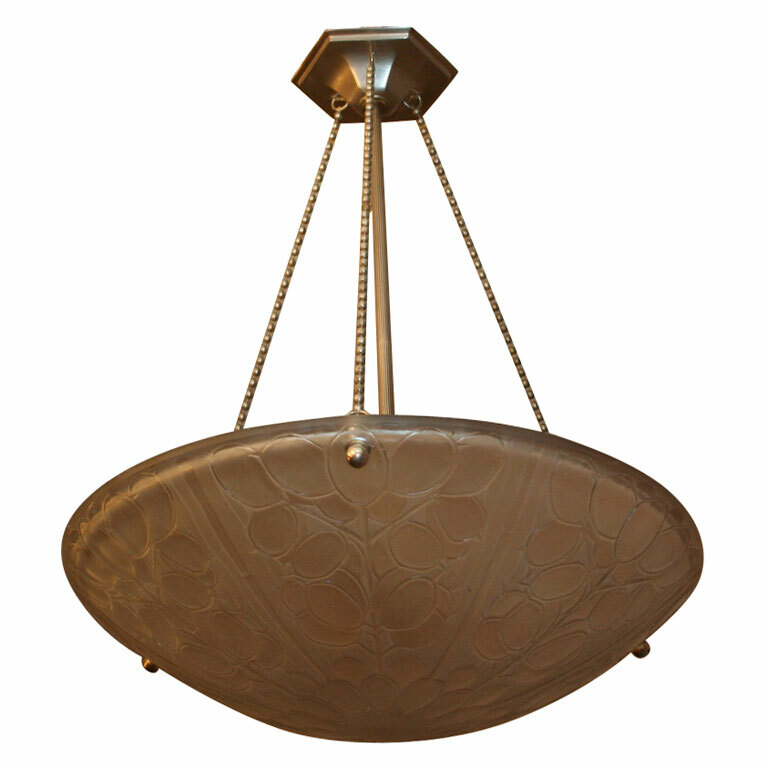 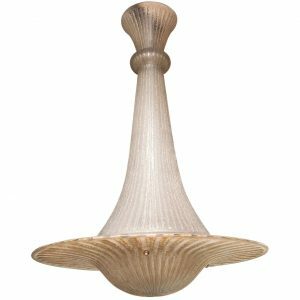 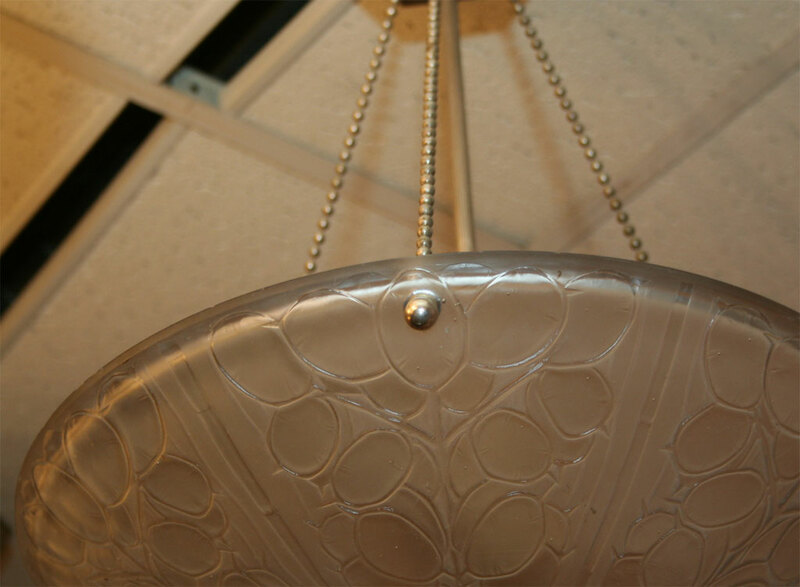 Jean Perzel ceiling fixture in frosted glass and brass hardware.